Nearly every home and industrial building has air ducts. We rarely think about them, but the truth is, when left uncleaned, these important ducts could be promoting poor health and respiratory conditions. This is just one reason why air duct cleaning is important. How is the air in your home? The two most common air duct cleaning methods are the "contact cleaning" method and the "Power vacuum air wash" method in air duct cleaning. 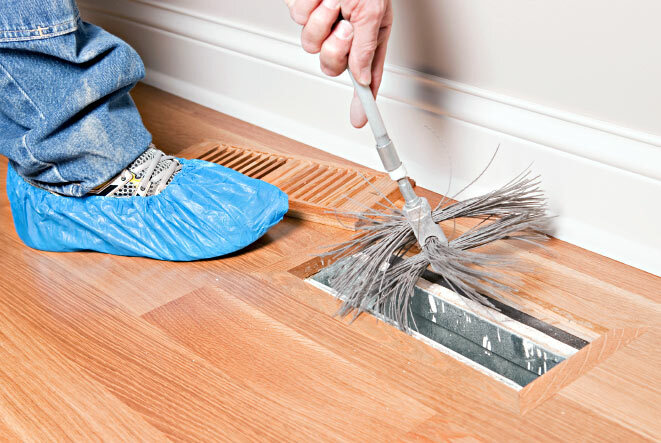 The contact cleaning method in air duct cleaning involves the use of shop vac style equipment to keep constant contact between the vacuum hose and duct work surface during the cleaning process. 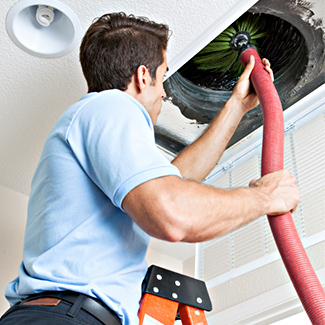 Generally speaking the companies that employ this form of cleaning charges less money for their services, because they know that they are limited in what dirt, dust and debris that they can actually pull out of the air ducts and are typically in your home to perform the service for 30 minutes to 1 hour. There is usually no benefit to an air duct cleaning service when this method of cleaning is performed, however it may be beneficial if the actual vent boots were full of construction debris or dog food or whatever and you did not feel like cleaning the vent boots and preferred to just get a cheap service provider out to do that work for you instead. Now, the power vacuum air wash method in air duct cleaning involves the use of expensive powerful equipment to allow a technician to deep clean the entire HVAC system. The vacuum hose is usually 8-12" in diameter and is installed in the main trunk line to put the entire air duct system under a deep and powerful vacuum. No kidding, every vent in the house will have a powerful vacuum pulling hard off of every vent in the house for a perfect negative air containment, which disallows any cross contamination of dirt discharges in your home to occur during the cleaning process. The vacuum machines could be 220 volt HEPA rated negative air machines, gas powered or diesel powered machines to generate a powerful enough vacuum to perform the service properly. Compressed air tools are used to air wash all of the dirt, dust and debris to the power vacuum hose installed in the main duct, trunk line. When the power vacuum air wash form of air duct cleaning is performed correctly the service usually takes anywhere from 2-4 hours to perform the service in an average sized home. Reputable companies will clean all supply boots, adjoining supply branch lines, supply trunk line(s), supply plenum, return boots, return channels, return trunk line(s) and return plenum, virtually 100% of the entire HVAC system. It is vital that the entire air duct system is cleaned, because if any debris and or contamination is left in the system, then that missed debris and or contamination will just recirculate again to recontaminate the air duct system as if nothing was even done, once the furnace is turned on again after the air duct cleaning is complete. A typical forced air ventilation is a circulatory system of constant air in and air out when a furnace is in operation. Companies that are licensed for HVAC will also thoroughly clean the furnace and evaporator coil . The benefits can be tremendous with this method of cleaning, such as increased air flow, increased HVAC system efficiency, reduced dust in the home, reduction in unpleasant odors deriving from the air ducts and increased life expectancy of working HVAC parts such as surface igniters, blower motors, limit switches and capacitors that dirt, dust and debris destroys over time. A reputable company that pays their technicians well, maintains their tools & machinery and possesses all of the proper credentials such as ACCA membership status, EPA certified technicians to handle refrigeration and carries proper insurance(s) will charge anywhere from $425.00-$1000.00 per HVAC system for about half a days work to properly clean each HVAC system. 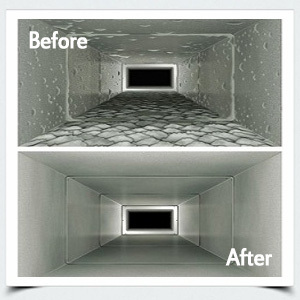 It is not recommended to clean your home air ducts Mississauga every year. Most home air duct systems only need to be cleaned once every two or three years. In some cases you should have them inspected regularly. If you use a fuel burning stove or furnace, it is a good idea to have your home air ducts inspected before each heating season for cracks or leaks that could release harmful toxins into your home.